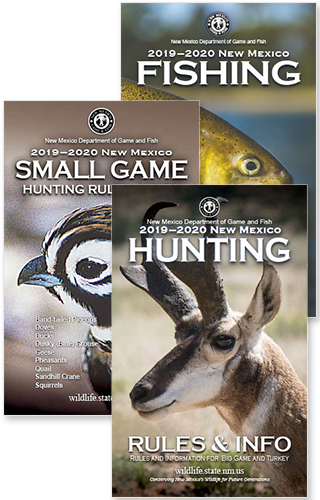 SANTA FE – Almost 1,500 deer hunting licenses, over 1,000 javelina licenses and 7 elk licenses that were not allocated during the annual drawing for 2016-17 big-game hunting licenses will go on sale at 10 a.m. MDT June 22, only on the Department of Game and Fish website. New Mexico residents will get first shot at the licenses during the first-come, first-served sale. License sales will be open to residents only for the first 24 hours. The sale will be opened to everyone, regardless of residency, at 10 a.m. June 23. To be eligible to buy a leftover license, hunters are reminded that they must previously have purchased either a Game Hunting or Game Hunting and Fishing license. Those licenses, along with Habitat Improvement Stamps and Habitat Management Access Validations, also can be obtained through online accounts. Hunters are strongly encouraged to obtain or review online customer accounts, including their Customer Identification Number, user name and password, and to be signed on to their account before the sale begins. Popular licenses often sell out in minutes, sometimes seconds, after sales begin. Hunters planning to purchase a leftover license also must have completed all mandatory 2015-2016 harvest reporting requirements or their purchase will be rejected in the post-sale audit. The license fee, but not the application fee will be refunded on rejected purchases. 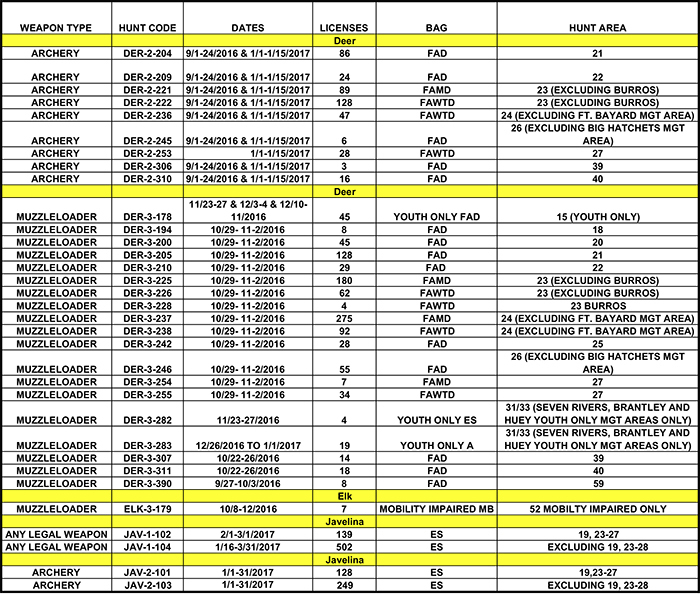 For more information about the leftover license sale or other Department of Game and Fish matters, please call the department’s toll-free information line, (888) 248-6866. Leftover licenses will not be sold over the phone, however.